With the pressure from the Samsung Galaxy S4, HTC One and Sony Xperia Z, it’s speculated that what Apple's next Smartphone is going to be like is at fever pitch. As always with Apple, there is little official news announced until it's ready to reveal details, so people don’t know the accurate release date of the iPhone 5s. But according to the recent media reports, iPhone 5s - an update to the existing iPhone 5, will be launched on October this year. 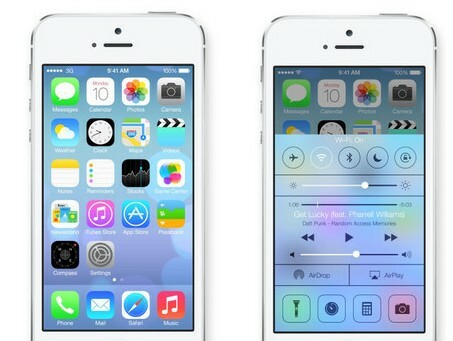 The pictures above show some differences between iPhone 5 and iPhone 5s. It's rumored that there will be a few changes in appearance, but this new iPhone’s internal design will be improved, such as a better camera and a faster processor. What’s more, recent reports from Taiwan and tech website NFC World indicate that manufacturer Chipbond has won a major contract to build components for the iPhone 5s - including NFC. Meanwhile, other rumors suggest that this time Apple will add a fingerprint scanner in the iPhone 5s, better protecting iPhone users’ privacy. It doesn't yet confirm whether the iPhone 5s will come in a range of colors - much like it did with the iPod Touch - or whether the company will simply stick to the black/white variants. 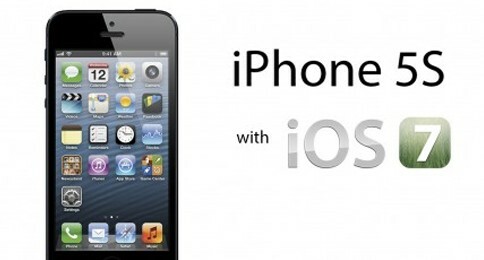 Rumors have stated that more than 2 color options will be added to iPhone 5s. And then there will be at least 4 colors for people to choose from.